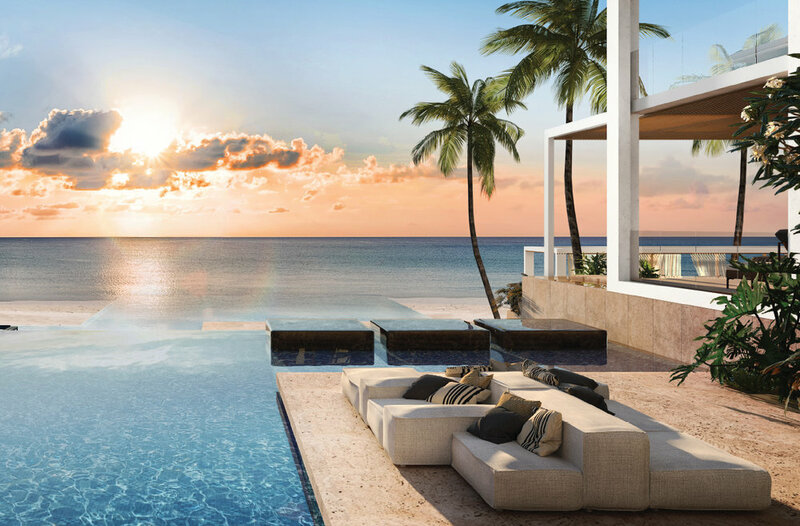 Set on a remarkable stretch of Seven Mile Beach, the new Lacovia represents sophisticated beachfront living. These 88 exclusive residences maximise light and views with 10-foot floor to ceiling windows and sliding glass doors. Created by Swedish architecture firm, OOAK, the contemporary sleek facade sets the development apart from all other properties on Seven Mile Beach. The expansive balconies with frameless glass railings capture the spectacular vista from every angle. Natural stone textures and warm timber finishes adorn the bespoke interiors, providing a level of detail missing on the Seven Mile Beach market.